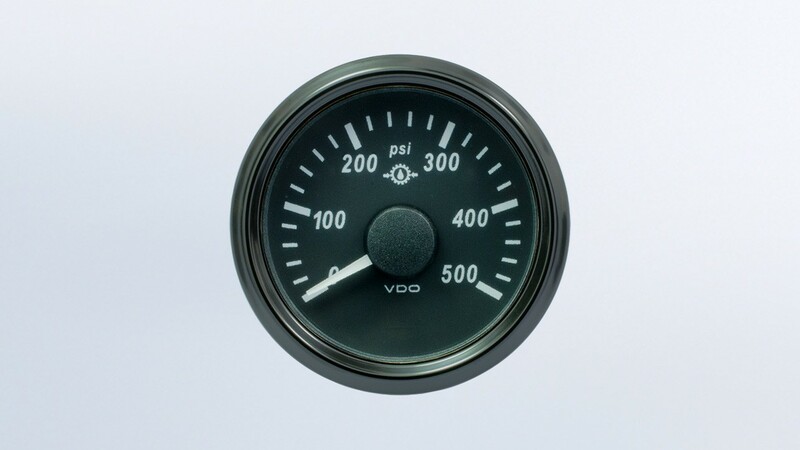 SingleViu 2 1/16in (52mm) 500psi gear pressure gauge. SingleViu 2 1/16in (52mm) 500psi gear pressure gauge. Accepts both J1939 or 0-4.5V signal input. Features RGB illumination and dual fog free lens. Uses standard Molex connector (part number 2910000484200, sold separately). Works on both 12V or 24V systems.